About a year ago we introduced license-month pricing as a fairer and more flexible alternative to traditional service subscriptions. Now we’re rolling out yet another innovation we call app-click pricing. App-clicks are what you buy if you want to license Formotus on a pay-per-use basis. 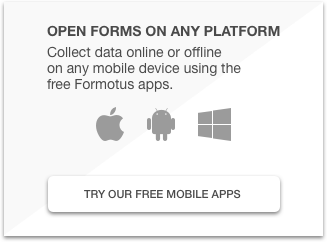 Customers buy a package of app-clicks in advance, and each app-click is good for one use of the Formotus Now app by any user. This payment model is somewhat similar to metered services that charge for data submissions or API calls. In our case, however, the activity that’s being metered is the launching of a mobile app with customizations created by the customer. Formotus Now is a client app that we make available free in the app stores. Unlike most apps, the way to start using it is not to open it but to click on a special link. You could think of this as similar to a PDF reader app that launches when you click on a PDF file. In our case what you click on is a link pointing to a custom business form that launches in an app. There’s never any cost to the user of the app. The cost is incurred by the organization that creates a custom form and makes it available to users as a Formotus Now link. 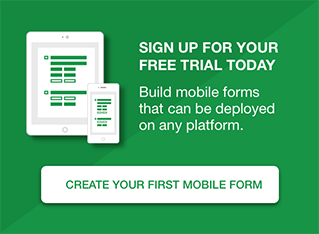 A Formotus Now link looks just like a regular URL, but instead of displaying a web page in a browser it launches a customer’s form in the Formotus Now app. You can set a start and end date during which the link will be active, and you can change the end date to the past to pause it instantly. You can set a maximum number of app-clicks, both per day and per lifetime of the link, after which it will become inactive. You can delete a link, making it forever inactive. And we’ll be adding more kinds of controls over time based on customer feedback.